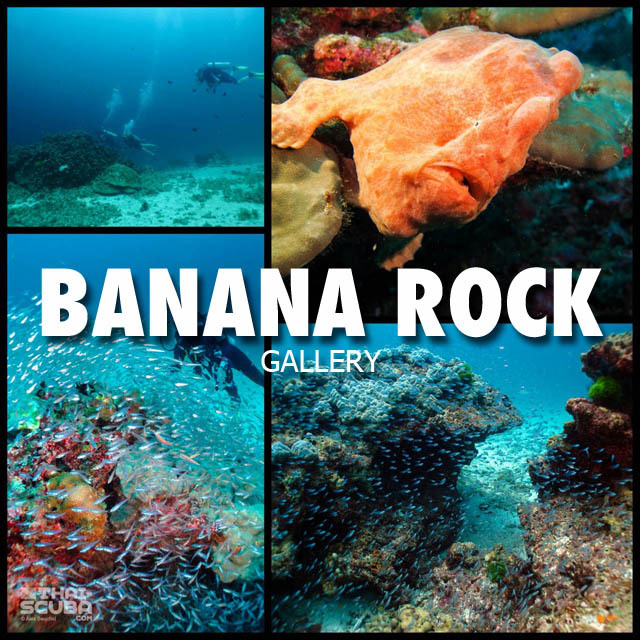 Phuket can easily be summed up as the portal to a majority of the dive arenas around the Andaman Sea. 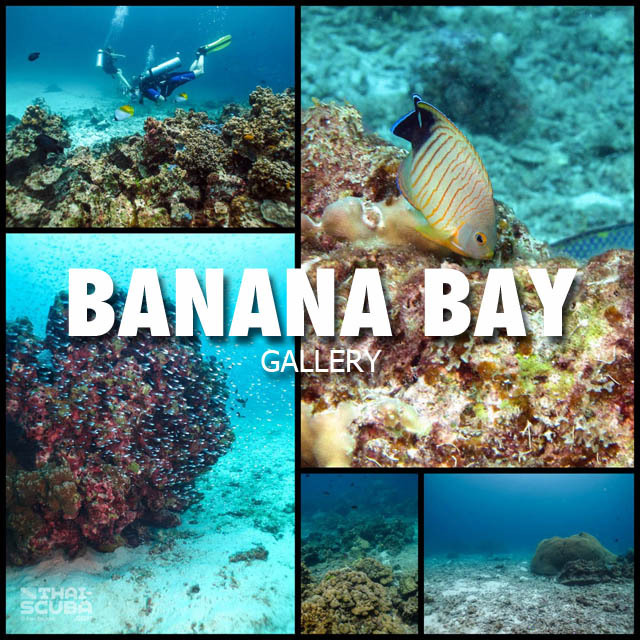 A lot of dive centers call Phuket their home and many of them offer live-aboard trips as well as local day-trips to an exciting range of dive sites. 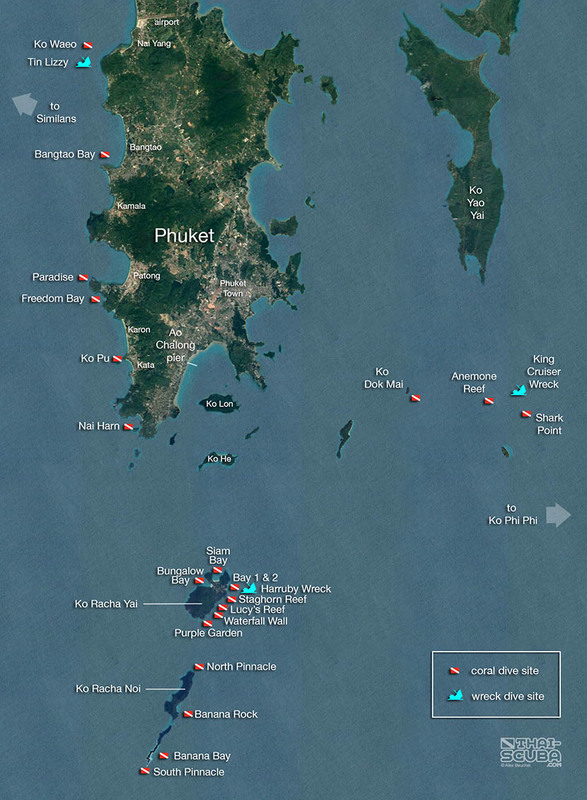 Beyond the destinations further away, such as the Similans or Ko Phi Phi, Phuket also highlights an interesting selection of local dive sites listed here in this map. 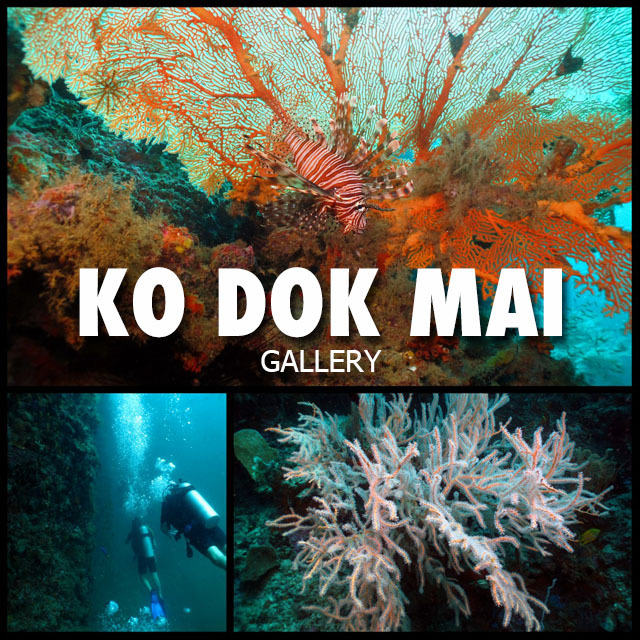 The most visited are the areas of Ko Racha Yai and Noi as well as the King Cruiser Wreck with the adjacent coral dive sites. 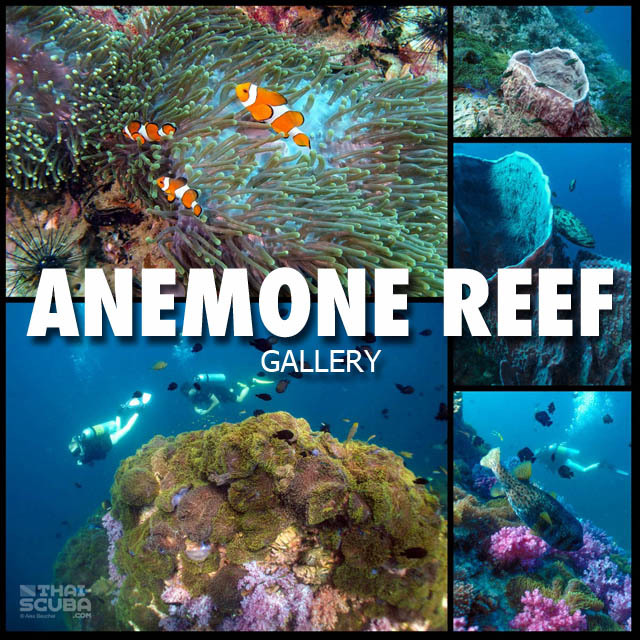 The dive sites off the west coast are a less spectacular but still interesting opportunity for half-day dive trips, local training dives as well as night dives. 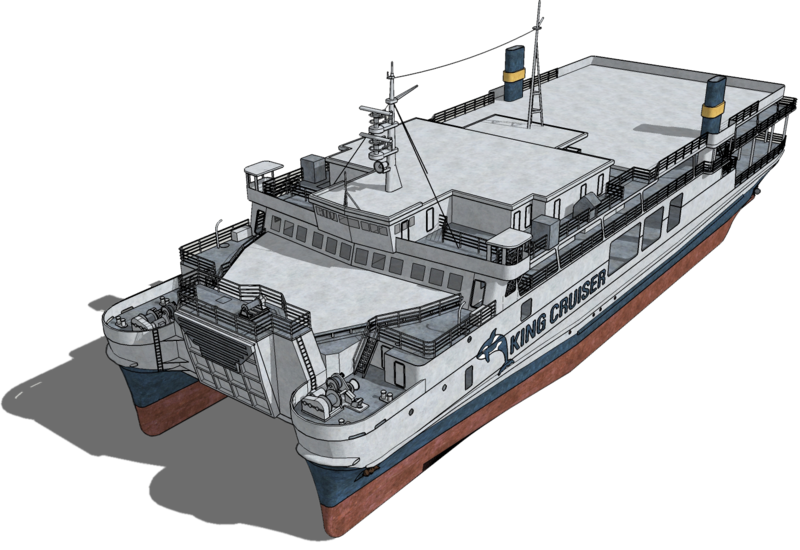 This accurate scale 3D computer model of the Harruby Wreck was created using detailed study of video footage and photographs taken at the wreck as well as references before her sinking. 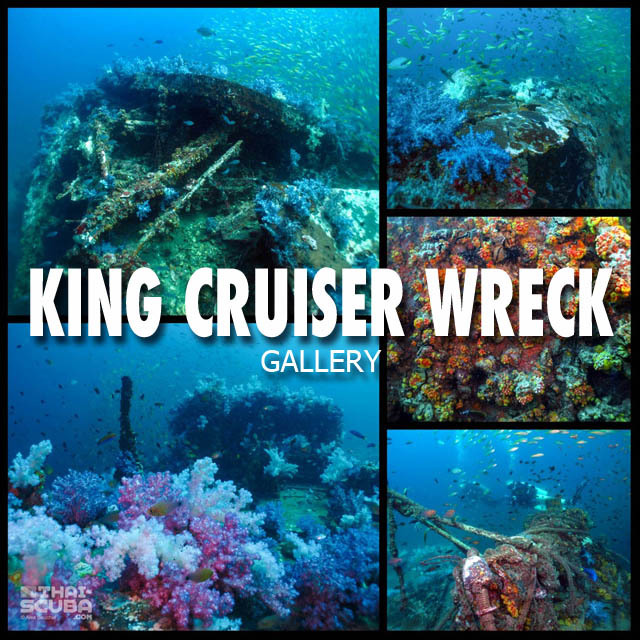 Here the 3D model of the Harruby Wreck from every angle with this awesome 3D animation! 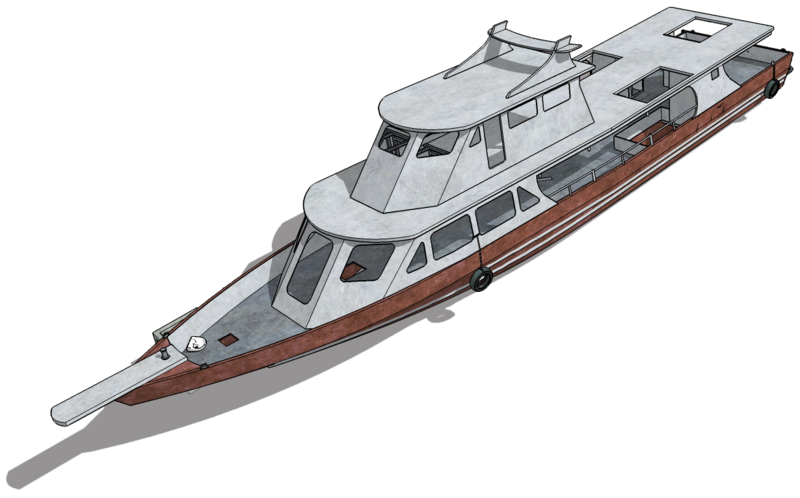 The animation also features the second wreck in the area, the small wooden Thai fishing boat a short distance away. Positions and arrangements of the concrete reef cubes are shown as accurately as possible. 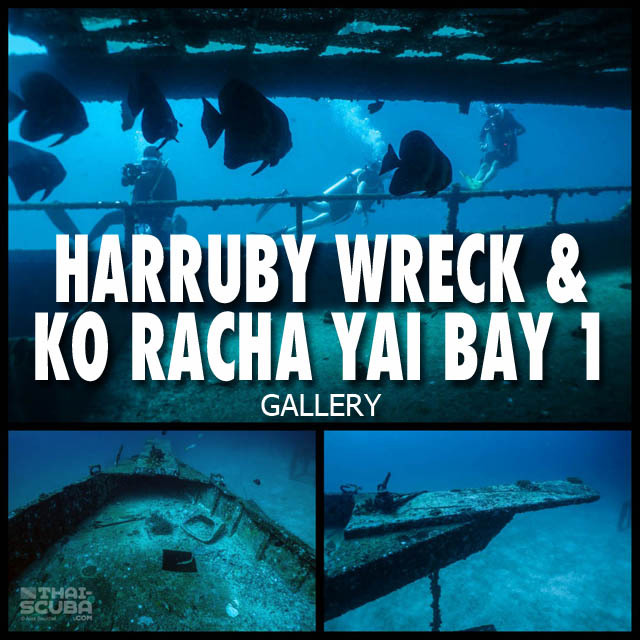 Here a Thai-Scuba.com original video production about scuba diving the Harruby Wreck! 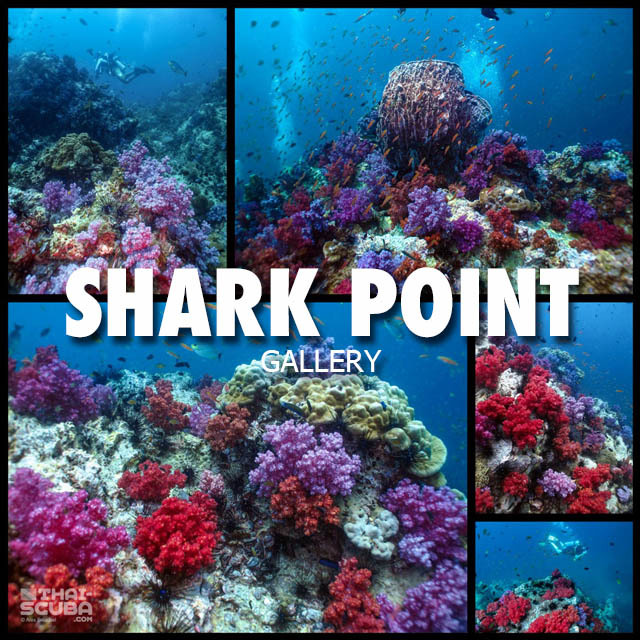 Here an overview of the Phuket dive centers with links to their websites!